The University of Toledo is centralizing its key control operations into one department. Starting Monday, Nov. 1, the key requests on Health Science Campus will go through Police Support Services on Main Campus. To make a key request, employees will need to complete a form, which is available here, and submit it to Police Support Services either through campus mail to mail stop 207 or by bringing it to Transportation Center Room 1400 on Main Campus. All forms need to be signed by the supervisor of the person submitting the request. When the key is ready, the person who submitted the request will be notified by phone or e-mail and can pick up the key at Health Science Campus Dispatch weekdays from 7 a.m. to 3 p.m.
For more information call 419.530.KEYS (5397). The University of Toledo soon will offer students a new way to get their textbooks for about half the cost of purchasing a new printed book. A textbook rental program through Barnes & Noble Booksellers will begin spring semester and allow a student to rent a textbook for a semester and turn it in during final exam week for a fraction of what the book would cost to buy. “We recognize the costs associated with going to college, and this is one way we as a University can help our students achieve a high-quality education within their budget,” said Joy Gramling, director of auxiliary services. Using fall semester 2010 prices, for example, College Algebra by Ron Larson, a common text for a first-year math course, cost $181.35 new and $136 used. Renting this book would have cost students $92.49. The Call to Write by John Trimbur was $88 new and $66 used, while renting this book would have cost students $44.88. Students can pay the rental fee at the bookstore or from the store’s website, utoledo.bncollege.com, at the same time they would purchase a new or used book at the beginning of the semester. During the class, students can highlight and write in the margins like they would a book they planned to sell back to the bookstore. But instead of selling it back for a portion of what they paid or storing it on a bookshelf, students will return the book to the bookstore and that’s the end of it. As with any purchase in the bookstore, students can use their Rocket Card, credit cards, cash or check. If renting their textbook, students must provide a credit card number that will be held until the book is returned. Rented materials not returned by the return date or returned in an unusable condition automatically will be charged 75 percent of the new book price plus a processing fee of 7.5 percent. Not every book is available through the rental program. The University in conjunction with Barnes & Noble will determine qualifying books based on their popular use in college courses. Textbook rental programs are a growing trend at colleges and universities as schools look to help make higher education more affordable to their students. Barnes & Noble began its textbook rental program in the fall and already has more than 300 campus bookstores participating as it expands the program. UT and Barnes & Noble are working to identify which textbooks will be available for the rental program when it begins spring semester. 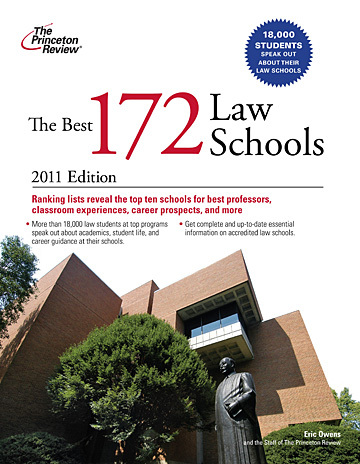 The University of Toledo College of Law has been named one of The Princeton Review’s best 172 law schools in the nation for 2011. 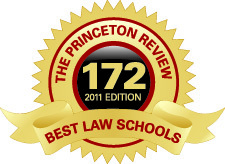 “The Princeton Review is just the most recent recognition of this college’s outstanding reputation in the legal community,” said Daniel Steinbock, interim dean of the College of Law. “It’s clear UT law students and alumni feel strongly they are receiving a top-tier educational experience. “This comes on the heels of our recent designation as a Best Value Law School by The National Jurist magazine,” Steinbock added. For its 2011 book, The Best 172 Law Schools, The Princeton Review compiled its list based on surveys of 18,000 law students as well as school-reported data, according to its website. The surveys were taken from an average of about 100 students per law school from 2009-10, 2008-09 and 2007-08 academic years. The 80-question survey asked students about their school’s academics, student body and campus life, themselves, and their career plans. Students surveyed also praised those UT-coordinated legal experiences outside of the classroom, an area, Steinbock said, where the college has long committed to matching the high-quality law curriculum. “This listing in The Princeton Review goes to show that UT College of Law students believe the college is living up to its promises,” Steinbock said. Alfonso Zapata, who attends Toledo Early College High School, collected a water sample from the Ottawa River as part of the Student Watershed Watch. “Learning hands-on is so much more exciting then sitting in a classroom studying,” said Mary Perkins, a freshman at Toledo Early College High School, as she tested pH levels of water from Ottawa River. On a recent, brisk, sunny morning, hundreds of high school students grabbed their environmental sampling equipment and headed to local streams in the Toledo area. Knee deep in water wearing chest waders and boots, teenagers received firsthand experience testing the quality of Toledo’s aquatic ecosystems. They were participating in Student Watershed Watch, which is a Toledo Metropolitan Area Council of Governments program to educate students about local stream ecosystems. Students have the chance to test streams for temperature, turbidity, dissolved oxygen, pH levels and many other properties to discover the overall quality of the water. 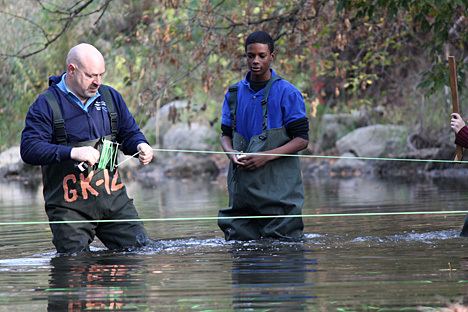 Verl Luse, UT graduate student, and Joseph Kynard, a student at Toledo Early College High School, placed ropes across the Ottawa River to measure the waterway’s velocity and cross-section (the water depth from bank to bank). From these measurements, the total stream discharge — volume per second — will be calculated. The UT Lake Erie Center sponsors seven area high schools through a National Science Foundation GK-12 grant to take part in Student Watershed Watch. With the grant, UT supplies the necessary water sampling tools to the high school science teachers and also provides UT graduate students to aid the classes. In addition to Toledo Early College High School, the schools participating in the UT-sponsored portion of the 21st Annual Student Watershed Watch are Bowsher High School, Central Catholic High School, Clay High School, Northview High School, Ottawa Hills High School and Start High School. “This is a great opportunity for students to practice water-quality testing and a chance to expose them to University faculty and staff to discuss science and education,” said Dr. Cyndee Gruden, UT associate professor of civil engineering. Students will have a chance to share their results at the Student Watershed Watch Summit Tuesday, Nov. 16, at the University when participating schools release and compare their findings. 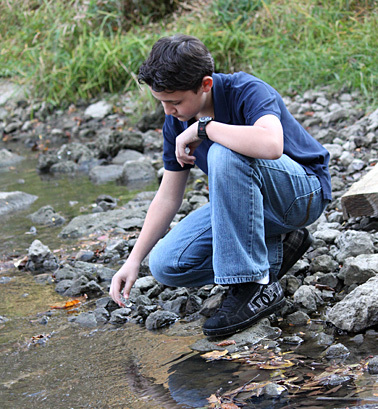 For more information on the Student Watershed Watch program, click here. The University of Toledo is responding to a nearly $8 million deferment of state funding for the current fiscal year with an across-the-board 1.5 percent general fund budget adjustment. Ohio Gov. Ted Strickland recently announced that the state is deferring a one-month payment of state share of instruction dollars to higher education. Pushing back the $127.5 million payment for June, the last month of the state’s current fiscal year, will help Ohio balance its fiscal year 2011 budget. In doing so, the state is temporarily reducing that planned revenue for Ohio’s colleges and universities. The deferment has a $7.9 million effect on UT’s current budget, said Dr. Scott Scarborough, senior vice president for finance and administration, and interim vice president and director of UT Medical Center. The state of Ohio has called the move a delay in payment, but given the projected $8 billion hole in the next budget cycle, some college and university leaders are skeptical the money will materialize later and be reinstated to higher education. Federal economic stimulus dollars already contribute to more than $18 million of the University budget, which likely will not be available for the fiscal year 2012 budget. Should the state share of instruction dollars be paid back to UT, trustees directed it to be used to advance strategic initiatives of the University. UT has been planning for a difficult 2012 and will continue to do so, Scarborough said, adding that the University ended the last fiscal year better than expected. The University had budgeted a 0 percent operating margin for the academic enterprise for fiscal year 2010 and actually ended the year with a positive 2.5 percent operating margin because of expanded Pell Grants and a moderate winter, Scarborough said. The clinical enterprise of the University was budgeted at 3 percent and ended the year with 3.9 percent because of growth in outpatient services, he said. During the trustees’ committee meeting, the group also addressed the facility needs of UT Medical Center and began a discussion about how much investment can and should be made to upgrade the hospital. A memorial gathering for Charles H. “Chuck” Vicinus will take place Saturday, Nov. 6, from 4 to 6 p.m. in the Center for Performing Arts. Charles “Chuck” Vicinus posed for a photo in the Center for Performing Arts in 1993. 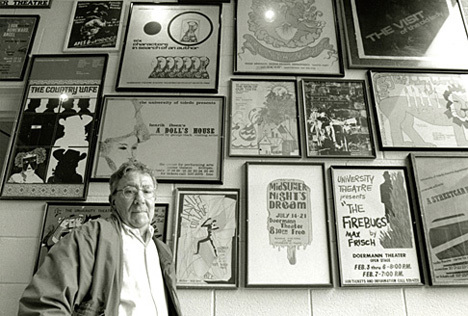 During his 22 years with the Department of Theatre and Film, he directed more than 100 productions for the UT stage. Vicinus was appointed UT professor of theatre in 1978 and was the program adviser for the acting and directing segment of the department’s new bachelor of fine arts degree program. He started UT Summerstage in 1979. The program gave students a chance to work with Equity actors under Equity rules from June to August. UT Summerstage ran through the mid-1980s. During that time, Vicinus was managing director. The native of Rochester, N.Y., served as chair of the UT Theatre and Film Department for six years and for 13 years was a co-director of the Governor’s Gifted Summer Institute, which gave Ohio students the chance to perform Shakespearean plays. Vicinus was involved with the American College Theatre Festival at the state and national levels, and he helped establish the Performing Arts Council of Toledo. The Toledo Repertoire Theatre board member also was a co-artistic director of the First Night Toledo program from 1994 to 2002. In 1993, he was named professor emeritus and continued working at the University until his retirement in 2000. Vicinus maintained homes in Holderness, N.H., and Toledo. For the past three years, he taught at Plymouth State University in New Hampshire. Tributes are suggested to the Theatre Alumni Scholarship at the UT Foundation. For more information, call 419.530.7730. Following a successful event last year, University of Toledo Medical Center physicians once again are pledging their time and expertise to help the community with a free skin cancer screening from 9 a.m. until noon Saturday, Oct. 30. Organizers will strive to screen more than 100 patients Saturday in the Surgery Clinic, located on the second floor of UT Medical Center. The screening will take only a few minutes; if a doctor finds something suspicious, counseling will be provided on-site. The physicians then would offer the patient a referral and a recommendation for a biopsy. Most skin cancer is caused by excessive exposure to ultraviolet light caused by the sun. To prevent skin cancer, the American Cancer Society recommends avoiding indoor tanning and using sunblock to protect your skin when outside in the sun. Most people have a few scars. Whether it’s from falling off a bike or major surgery, most people have had their fair share of bumps and bruises. 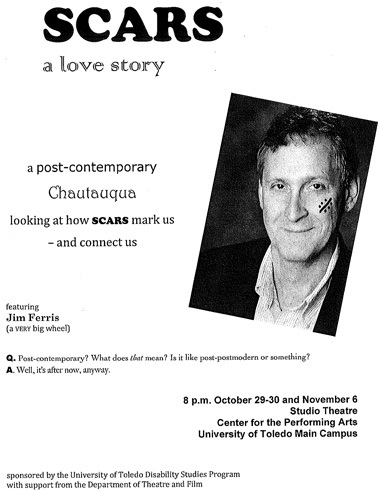 Dr. Jim Ferris, the Ability Center of Greater Toledo Endowed Chair in Disability Studies, will look at what our scars may have to tell us in his one-man show, “Scars: A Love Story,” which will be performed at 8 p.m. Friday, Oct. 29, and Saturday, Oct. 30, in the Center for Performing Arts Studio Theatre. “Scars: A Love Story” combines poetry, visual arts and music into a form that Ferris calls a “post-contemporary” performance. The show includes photographs of scars that Ferris collected from people around campus. The show will look at how scars from years past still impact people today. Ferris, associate professor of communication and director of the Disability Studies Program, contends that scars also can lead to stigma, a simple explanation to human fear and ignorance. “We make assumptions when we see things, whether it is a scar or a disability. We wind up making judgments, and those judgments can outweigh other characteristics,” Ferris said. The University of Toledo’s Engineers Without Borders student chapter has been granted $10,000 for another riverbank water filtration system in Honduras. Erin Nichols, left, and Emma Boff, members of the UT Engineers Without Borders student chapter, posed for a photo with children during a visit to Honduras. 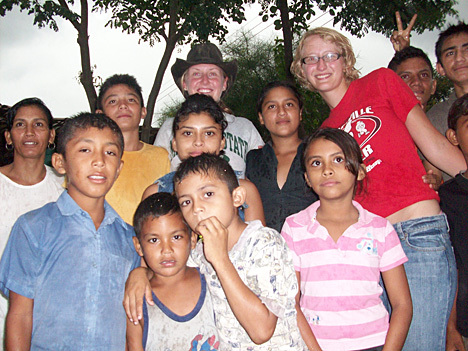 In 2008, the organization made a trip to Los Sanchez, Honduras, where UT engineering students installed a sustainable water pipeline system for the village. Now they are to begin work in La Barranca, Honduras, with the help of the new grant the organization received in June. The Environmental Protection Agency hosts the P3 (People, Prosperity and the Planet) Awards each year to select and fund students’ project designs that will help create a sustainable future. The EPA P3 Awards are a two-phase team contest. Engineers Without Borders went to Honduras to find out what exactly was contaminating the water and found heavy metals and pathogens, Seo said, adding that it was largely due to the fact that both the villagers and the animals were drinking and bathing from the same area of the river. To solve the problem, the organization plans to build a riverbank water pipeline system, which is essentially a ditch about 50 feet away from the river that will allow the water to be naturally filtered through the ground. But to better ensure that as many contaminants are eliminated as possible, the group also will add a disinfection system, said Erin Nichols, president of UT Engineers Without Borders. In April, Engineers Without Borders will present their plans and preliminary research and design results to a panel of judges in Washington, D.C.; of the 40 eligible teams, only five will be awarded the phase two grant. For more information on the project or Engineers Without Borders, visit www.eng.utoledo.edu/~ewob/home.htm. Dr. Valerie Householder, University pharmacist, will receive the prestigious honor of being named the 2010 UT College of Pharmacy Preceptor of the Year. Householder, a clinical outpatient pharmacist in the UT Main Campus Medical Center since 2006, will be honored during the College of Pharmacy’s fall convocation Thursday, Oct. 28, at 11 a.m. in Collier Building Room1000B on Health Science Campus. 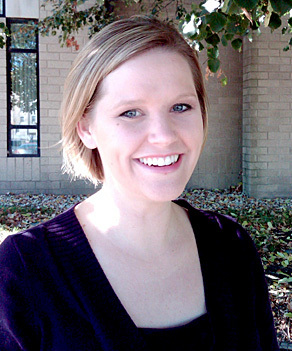 A UT alumna, Householder graduated from the UT College of Pharmacy with a doctor of pharmacy degree in 2003. She received her bachelor’s degree in pharmaceutical sciences in 2001. Householder previously served as director of pharmacy at Mercy Hospital in Defiance, Ohio, and has worked as a pharmacist in both hospital and retail settings in Ohio and Indiana.